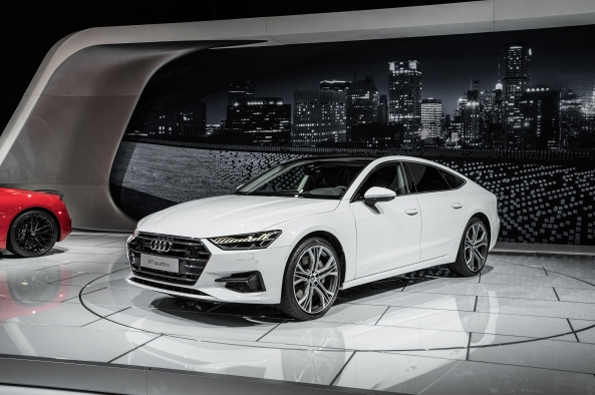 Building on the tremendous success of the first generation, the all-new 2019 Audi A7 continues its reputation for excellence. Its iconic, award-winning Sportback body style offers drivers a coupe-like design and spirited performance along with the five-door layout for everyday practicality. A sloping roofline, chiseled profile lines, a wider and lower Singleframe grille, and a signature silhouette help the A7 represent progressiveness from every angle. Exemplifying the next iteration of Audi design language, the all-new A7 sets the standard for a precise, modern exterior. Inside the A7, you'll find an interior that's both driver-oriented and tech-focused. All vital controls are oriented towards the driver for unobstructed access during high-speed maneuvers. Contour lights line the center console and door trim, precisely complementing the architecture of the interior and subtly highlighting the spaciousness found inside. An illuminated quattro badge in the instrument panel emphasizes the capability and all-weather handling prowess found on the Audi A7. 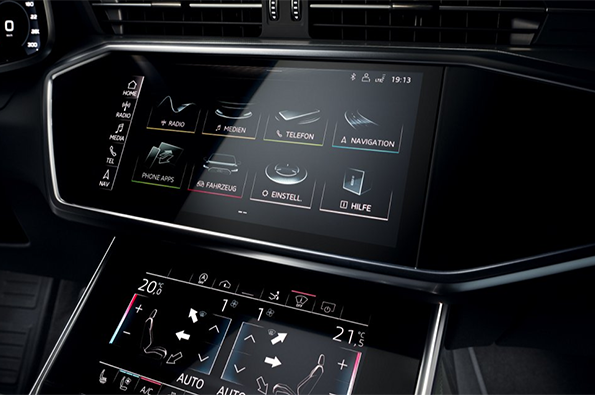 Recently debuted in the A8, the next-generation Audi A7 will feature the same revolutionary infotainment system. The all-new MMI touch response® swaps the rotary dial and the conventional buttons and controls of the outgoing model with two large, high-resolution touch displays. Designed to be an intuitive to use as a smartphone, this new system features haptic and acoustic feedback for improved response. Its menu structure is flat and logically arranged, allowing for quick access to a variety of vehicle functions. The all-new A7 also helps solidify Audi as a world leader in lighting innovation. Twelve associated lighting segments separated by narrow spaces mimic the binary digits 0 and 1 and represent the A7's digital light signature. 13 vertical segments join together the rear tail lights in a continuous light strip. Fast-moving light animations play in the headlights and tail lights while the vehicle is locked or unlocked, emphasizing the vehicle's dynamics while stationary.